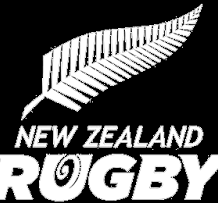 New Zealand Rugby (NZR) has today announced the completion of the independent review of New Zealand secondary school rugby. The resulting report was approved by the NZR Board at its December meeting and the implementation of the report’s 31 recommendations will begin this month. The Review was commissioned in June last year to better understand the various factors affecting the New Zealand secondary school rugby environment. Following a contestable process the review was led by EdSol NZ, an educational consultancy company. NZR Chief Rugby Officer Nigel Cass welcomed the review and its recommendations and thanked the school and rugby community for their contributions. “Secondary school rugby is a vital part of our game. For many players it’s where they cemented lifelong friendships and wearing their high school’s colours is a cherished memory. “The report confirmed there are a lot of passionate people involved in the game and great rugby programmes happening all over the country. But it also found there’s work to be done and helped us pinpoint the areas that require our focus,” Cass said. He said the response to the consultation via focus groups and online submissions had been fantastic and it gave NZR confidence that it had been a thorough process with people from around New Zealand contributing their ideas. More than 500 people participated in online surveys, 300 in focus groups, and those with an interest in secondary school rugby were involved in consultation meetings, including SKY TV, player agents and Super Rugby clubs. Cass acknowledged the review formed part of NZR’s commitment to providing a world-leading school rugby system for all of its participants. “Above all, we want to make sure playing rugby is a fun, safe and positive experience for all our teenage players, no matter where they live or what level they play at. We now understand that some changes will be needed to help us reach that goal and it will take time, and support from schools, teachers and the community. NZR commissioned the review into secondary school rugby in June 2018 to better understand the various factors affecting the New Zealand secondary school rugby environment. The aim of the review is to ensure that there is a successful model for secondary school rugby throughout New Zealand in which boys and girls can both participate and perform. The review involved consultation with students, Provincial Union and club rugby staff, secondary school staff and principals, interest groups and online submissions from the public. The independent review was led, following a contestable process, by EdSol NZ, an educational consultancy company. 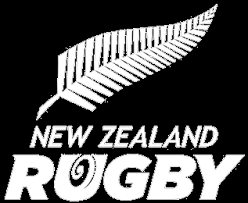 The co-directors of EdSol NZ, Peter Gall and Michael Leach, were the lead reviewers and they were assisted by Brent Anderson, former NZR Head of Community Rugby. To view the Report on The Review of Secondary School Rugby click here.